Product prices and availability are accurate as of 2019-04-12 17:18:57 EDT and are subject to change. Any price and availability information displayed on http://www.amazon.com/ at the time of purchase will apply to the purchase of this product. Upgraded newer version available, search "Dash Micro G3" to find it. G3 has aluminum casing, in 2 variants: MicroUSB (for Galaxy S7/S6/S5/S4, Note 5/4/3/2, Moto X ...) and USB Type-C (for Google Pixel, Nexus 6P/5X, Moto Z, HTC M10 ...). Use Dash Micro to add more storage to your Android smartphone and tablet, such as Samsung Galaxy S7, S6, S6 Edge/Edge+, Note 5. Play video/music stored on MicroSD cards, view photos/documents, copy and backup any and all of your files. It was the first and the smallest of such devices, and now it is also the fastest with UHS 50MB support. 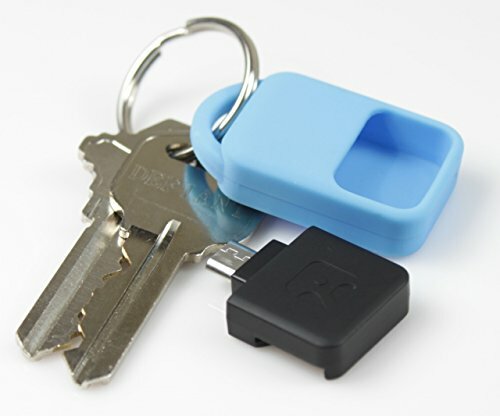 It comes with a protective silicone case that can be used to attach it to a key ring or carabiner, making it truly portable. Support MicroSD cards of 128GB, 200GB and higher. Max speed tested: 45 MB/s read, 42 MB/s write. 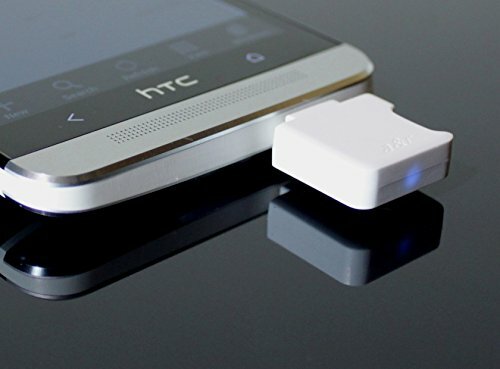 Smartphone/Tablet requirement: Android 4.1 and up with USB-OTG hardware capability and USB Mass Storage support in software. Most Android smartphones and tablets released in 2013 or later are compatible, except for some low-end ones. Third-party software may be required for some devices. PC compatibility: Windows 10/XP/Vista/7/8 including most Windows tablets, Mac OS X, Linux 2.6 and up; using included USB-MicroUSB adapter. Samsung: Galaxy S7, S6, S6 Edge/Edge+, Note 5/4/3/2, S5/4/3/2, S5/S4 Active, Alpha; Galaxy Tab S, Galaxy Tab/Note Pro, Galaxy Tab 4/3 8.0/10.1, Galaxy Note 10.1 (2014), 8.0. HTC: One 2015/2014/2013 (M9, M8, M7), Desire Eye, One Max, One Mini. Motorola: Moto X (all), Moto G (all). Google: Nexus 9/6/5/10, Nexus 7 (2013, 2012). LG: G4, G3, G2, Optimus G Pro. Well-known devices that are NOT compatible: Nexus 4, Moto E, Amazon Fire phone/tablets. Use MicroSD cards on your Android smartphone and tablet: copy & back-up files, view photos/documents, play music & video. Works with Samsung Galaxy S6/S6 Edge, S5/S4/S3 and Note 4/3/2, Moto X/Droid/G, HTC One M7/M8/M9 out of box. Works with Nexus 6/5/9/7/10. 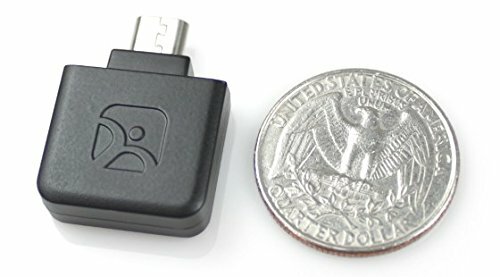 The first and the smallest MicroSD card reader with MicroUSB plug, designed specifically for Android smartphones and tablets. The fastest of its kind: tested to achieve 41 MB/s Read and 45 MB/s Write. Protective carrying case included for easy attachment to key ring or carabiner. 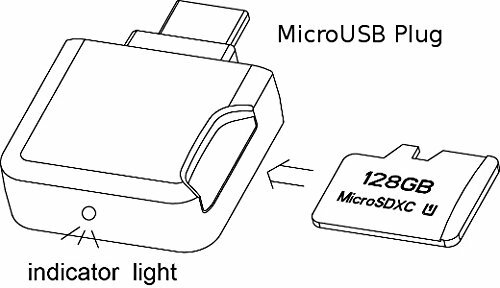 USB-MicroUSB adapter included to use on Windows/Mac/Linux PC. 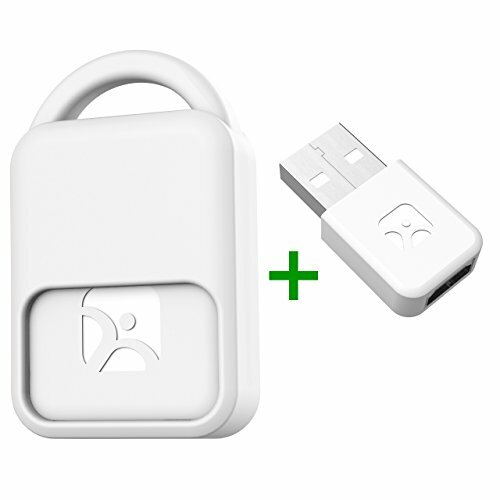 Requires Android 4.1 (Jelly Bean) or above with USB-OTG hardware capability and USB storage support in software; third-party software may be needed. See description for more details.